The prominence and the importance of Aśvaghoṣa’s works and persona—to the understanding of the history of Sanskrit poetry, to the understanding of Indian Buddhism in a transitional stage and to its introduction to other parts of Asia—is well acknowledged in contemporary scholarship. But with few exceptions the existing scholarship on Aśvaghoṣa has tended to be highly specialized and focused, inviting further reading that builds on this in-depth research to offer an integrated treatment of the variegated aspects and contexts of his works. 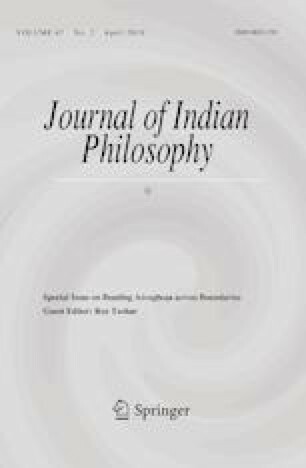 This special issue of the Journal of Indian Philosophy is intended as a modest step toward a holistic exploration of Aśvaghoṣa works, which reads them across disciplinary as well as regional and temporal boundaries. This introduction is designed to highlight, very schematically, some points of interest and recurring concerns with respect to Aśvaghoṣa works; to point out how the set of articles address these concerns, and to suggest a particular order in which they can be profitably read.